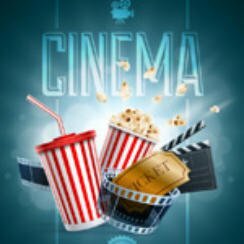 So it’s Christmas and we at Popcorn Cinema Show thought it was time to pick a few great movies to watch and get us in the mood for all the festivites. Well here are 10 must see movies this Christmas for you to consider. Scrooge (1951) starring the great Alastair Sim, based on one of best Christmas stories of all time, A Christmas Carol by Charles Dickens. There are many versions of this classic tale but none in my opinion quite capure the mood and atmosphere of the Alastair Sim film. It’s Christmas so that means it’s time to spend some time with the Griswalds! This outing National Lampoon’s Christmas Vacation, sees Clark Griswald (Chevy Chase) on a mission to have the perfect Christmas, with all the family generations coming together at Clark’s home. Alas you know all will not go well and what a ride we are taken on. Right from the beginning when the Griswalds are on their way to choose the tree we are treated to some great comedy car action. Starring Cary Grant as Dudley an Angel sent to help Bishop Henry Brougham (David Niven) who has lost touch with what really matters in life. The Bishop is struggling to raise enough money to build a new cathedral. In fact the catherdral is all consuming leaving his wife Julia (Loretta Young) wondering what has happened to the man she fell in love with.